Take a trip through space and time to meet creatures and enemies that always come back for more... Contains two exciting adventures! 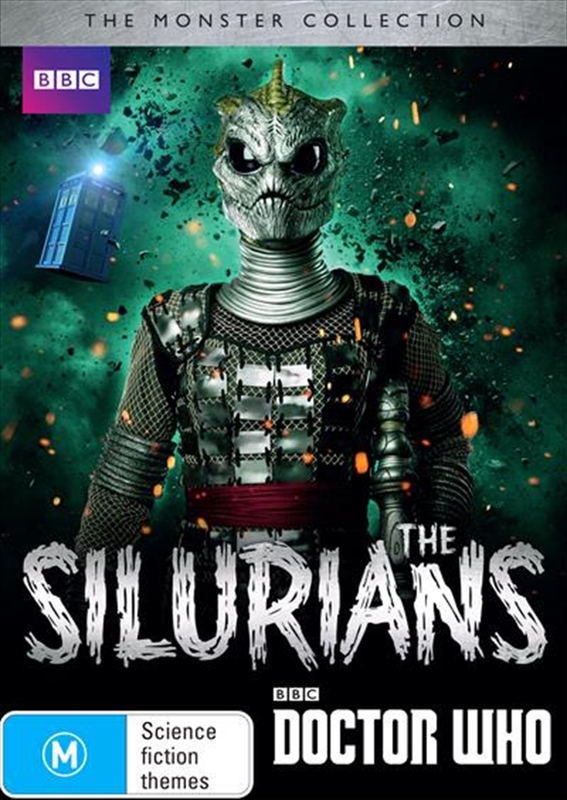 The Silurians lived on Earth millions of years before humans. This reptile race was forced to hibernate and lay undiscovered for years until they eventually started to wake up...THE SILURIANS is a seven-part adventure from Jon Pertwee's first season as the Third Doctor in 1970. It introduced the Silurians to the series for the first time. Written by Malcolm Hulke, Directed by Timothy Combe, Produced by Barry Letts. First shown: 31 January 14 March 1970. THE HUNGRY EARTH and COLD BLOOD saw the return of the Silurians to Doctor Who in 2010. With an updated look, here they fight the Eleventh Doctor, played by Matt Smith.